From Paris to London, major cities are going green and introducing popular bike sharing schemes that allow commuters to pick up a bicycle at various points of interest. As the commitment to two-wheeled transportation grows, many visitors are hopping aboard as well. The speed and ease of navigating a city by bike means more sightseeing in a shorter amount of time. Copenhagen: In spite of the sometimes chilly Nordic weather, almost half of Copenhagen's population gets on a bicycle every day. With wide bike lanes and few hills, the city is one of the most bike friendly in the world. Copenhagen is keen to see visitors get behind the handlebars as well and has run Bycyklen since 1995. The easy-to-rent scheme requires a simple signup form and then allows users to unlock bikes with their mobile phone at any of the docking systems around the city for a small hourly fee. Each bicycle comes with a built-in touchscreen with free GPS, which converts the bike into the perfect means for a self-guided tour. Amsterdam: Looking for an easy way to zip between the canals and the cafes on your next trip to Amsterdam? Amsterdam locals will insist you are best off on two wheels. The city is densely populated but traffic makes way for bike lanes and the city has even built special connectors under major sites like the Rijks Museum for bikes only. With so many people turning to two-wheeled transport, there are numerous bike hire schemes, including at many of Amsterdam's hotels. And the love of bicycles is not limited to the capital - other cities in the Netherlands such as Utrecht are models for urban biking. Utrecht even had to add 33,000 bike parking spaces at its central station to accommodate demand. Bordeaux: Bicycling through the vineyards surrounding Bordeaux could hardly be more romantic, but even the city itself is a major destination for cyclists. Bordeaux has over 125 miles of bike lanes and 1,500 cycles available in the bike share program, making navigating the city from behind the handlebars a breeze. There is even talk of banning cars from certain bridges to give way to the waves of bikes which flow through the pretty French destination. Munich: Nestled near the base of the Bavarian Alps, Munich is a city for outdoor lovers. So, it should come as no surprise that pedal power is one of the preferred modes of transit around town. The city boasts 125 miles of bike trails, many of which meander through large parks or along the river. 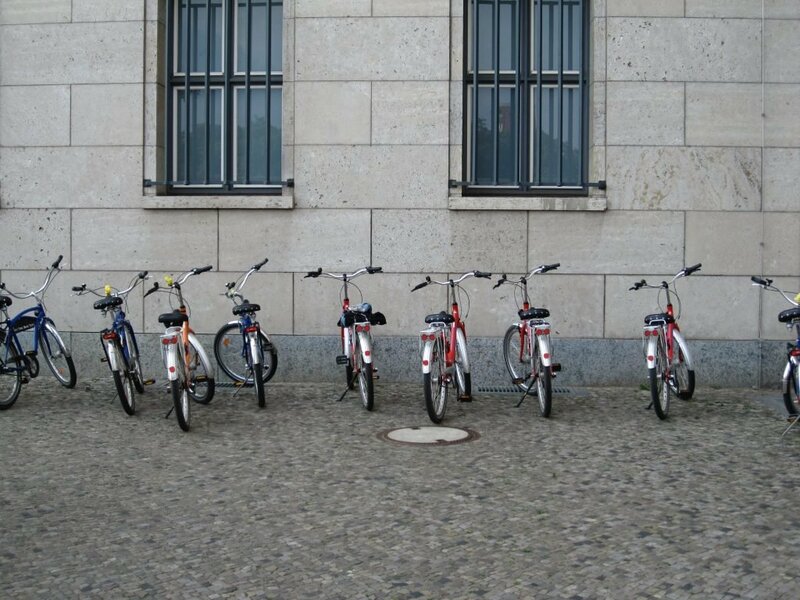 Munich is also one of six German cities that participates in Call-a-Bike. Hiring a bike is as simple as calling the phone number printed on the bicycle and entering the its unique 4-digit code. The bike will automatically unlock, opening up the city for further exploration. Seville: The capital of Andalucía,Seville has managed to increase bike trips by more than 10-fold over the last several years. The cobblestone historic center makes a picturesque setting for a leisurely cycle, however almost all of Seville is becoming increasingly bike friendly. New bike lanes separated from traffic by a raised kerb ensure that no part of the city is off limits on two wheels. The city's SEVici bike sharing scheme, with 2,500 bikes and 250 docking stations, means visitors can easily hire a cycle to take a spin to admire the pretty Moorish architecture before heading off the Flamenco clubs by night. 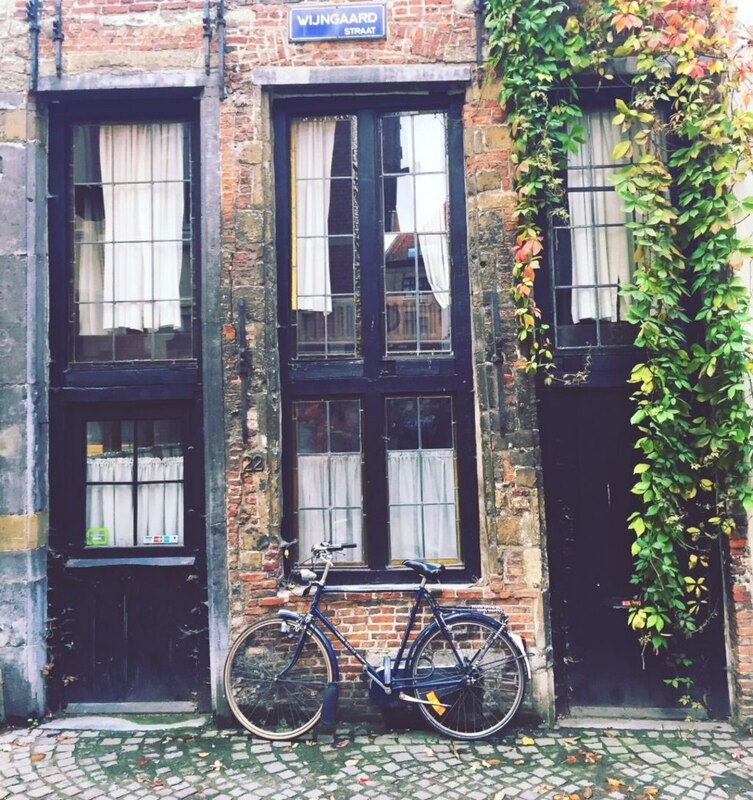 What's your favourite European city for cycling? Located in Bordeaux Historic Center, this residence is within a 10-minute walk of Musee des Beaux-Arts, St. Seurin Basilica, and Cathedrale St. Andre. Aquitaine Museum and Maison du Vin de Bordeaux are also within 15 minutes. Located in the heart of Bordeaux, this residence is within 1 mi (2 km) of Chaban-Delmas Stadium, Aquitaine Museum, and Musee des Beaux-Arts. Cathedrale St. Andre and St. Seurin Basilica are also within 1 mi (2 km). Located in Chartrons, this residence is within 1 mi (2 km) of Greek Orthodox Church and Bordeaux Wine and Trade Museum. Contemporary Art Museum and Place des Quinconces are also within 2 mi (3 km). Intercontinental Bordeaux Le Grand Hotel is located opposite the Opera House in the UNESCO-listed city center. Guests have the Golden Triangle shopping district right on their doorstep, and can access the station or waterfront bars of Quartier des Chartrons by taking a tram from the nearby stop. Situated near the airport, this residence is within 3 mi (5 km) of Golf Practice Academy, Circuit Bordeaux Merignac, and Bordeaux Technowest. St. Seurin Basilica and Zoo Bordeaux-Pessac are also within 6 mi (10 km). The spa is open to adults only Monday to Saturday (closed Sundays and bank holidays) from 10 AM to 8 PM, upon availability (schedule subject to change). Modern apartment residence occupying a typical 19th century residential building, set in the renovated district of Chartrons in central Bordeaux. Simple, contemporarily furnished studios and apartments are decorated with bold colors; all have satellite TV with Canal+. The hotel has two conference rooms able to accommodate up to 50 people each; wireless Internet on site. Enjoy an original tour in Bordeaux to (re)discover the must see monuments and places of Bordeaux in the passenger seat of an iconic vintage Citroën 2CV.